If you are looking for discount personal security equipment, checkout Security Camera King’s full line of personal protection and safety equipment. 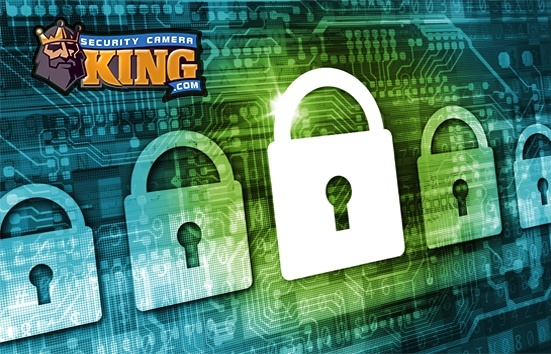 Security Camera King is your full service on-line security supplier and that’s why we not only offer a full line of security and surveillance cameras, but also provide you with a wide variety of great discount personal security equipment. Airsoft guns have been designed to look like real firearms; however, these guns are actually spring loaded or CO2 powered air guns that shoot plastic or rubber BBs and paintballs. We offer several replica models of famous Smith & Wesson, Colt, and Sig pistols. We even carry an Airsoft Smith & Wesson M3000 sawed of shotgun replica. In addition, we offer a full line of accessories including plastic BBs, paintballs, and targets. As one example of Security Camera King’s diversity in discount personal security equipment, they’re great for target practice or can be used for fun by the hobbyist. Letter carriers, utility workers, contractors and outdoorsmen know the value of a good animal repellent. We offer several animal repellent options including bear pepper and mace spray, canine mace spray, and even an electronic ultrasonic dog repeller. Today’s automobiles are built with an emphasis on personal safety. However, that emphasis is usually based on keeping you in the vehicle and not letting you out. Our 4 in 1 Auto emergency tool is a flashlight, emergency light, window breaking hammer and seat belt cutter all in one. Keep one in your vehicle at all times in case it’s ever needed. Safes are normally designed with ultra-strong materials that make breeching them difficult. However, with the right tools, anyone can crack open a safe. Another design method for a safe is to disguise it so it’s over looked. It’s difficult to crack a safe when you don’t know where it is. Our full line of diversion safes allows you to hide your valuables in plain sight. Burglars wouldn’t think to look for a diamond ring in a wall thermometer, soda can, salt shaker, can of shaving cream or a flower pot. As part of our line of discount personal security equipment, these diversion safes are a must have. Our line of discount personal security equipment wouldn’t be complete without these personal and home alarms. From keychain models to magnetic door models to even swimming pool entry models our alarms produce a super loud blast or ear piercing decibel strength. Although Mace traditionally meant a CN type teargas, the term Mace is also used today in connection with pepper spray deterrents. We offer a vast amount of Mace only, Mace and Pepper, and Pepper only sprays for personal protection. Some states and countries have regulations regarding mace and/or pepper spray so be sure to check with the regulations for your area before purchasing. Note: Security Camera King sells Mace brand Michigan State approved tear gas and pepper sprays. Nothing says “Back Off” better than a mega thousand to million volt charge! We offer a full line of electronic stun guns and tasers that will stop and take down any attacker. Our Taser C2 models use unique Taser cartridges that eject 20 to 30 paper tags when fired, allowing law enforcement to determine the owner of the device, deterring criminal use. Check out all of our different taser and stun gun models as well as our extensive supply of accessories. 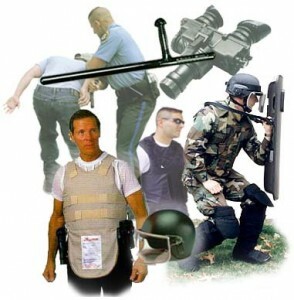 In addition to the above items, Security Camera King offers a variety of other discount personal security equipment including handcuffs, thumb cuffs, folding knives, instructional fighting and defense DVDs, metal detectors, safety lights, kubotans, voice changers, and computer tracking software.